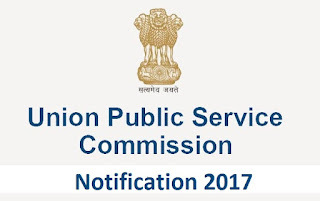 UPSC Examination Recruitment Notification 2017 : Union Public Service Commission ha Recently Published New Notification UPSC 390 National Defence Acadamy Examination Notification . Filing the vacancies for last date to apply online 30 June 2017 .All Candidates can apply online application through Official website www.upsconline.nic.in and alljobalert.in . 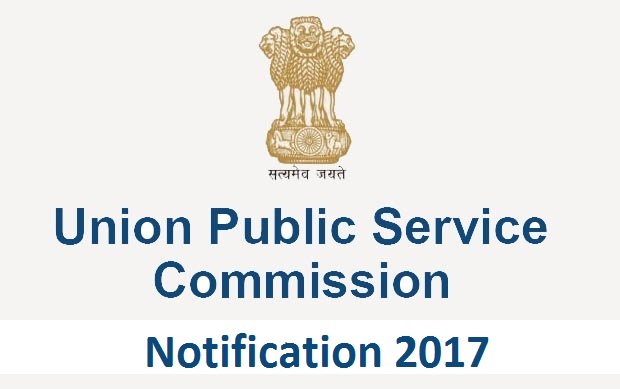 The Union Public Service Commission (UPSC;is India's central agency authorised to conduct the Civil Services Examination, Engineering Services Examination, Combined Medical Services Examination, Combined Defence Services Examination, National Defence Academy Examination, Naval Academy Examination, Special Class Railway Apprentice, Indian Forest Service examination, Indian Economic Service examination, Indian Statistical Service examination, Combined Geoscientist and Geologist Examination, and Central Armed Police Forces (Assistant Commandant) examination. For Air Force and Naval Wings of National Defence Academy and for the 10+2 Cadet Entry Scheme at the Indian Naval Academy: Candidates must have passed class 12 of the 10+2 pattern of School Education or equivalent with Physics and Mathematics conducted by State Education Board or a University. Candidates who are appearing in the Class 12 under 10+2 pattern of School Education or equivalent examination can also apply for this examination. Only unmarried male candidates born not earlier than 02nd January, 1999 and not later than 1st January, 2002 are eligible. The date of birth accepted by the Commission is that entered in the Matriculation or Secondary School Leaving Certificate or in a certificate recognised by an Indian University as equivalent to Matriculation or in an extract from a Register of Matriculates maintained by a University which must be certified by the proper authority of the University or in the Higher Secondary or an equivalent examination certificates. These certificates are required to be submitted only after the declaration of the result of the written part of the examination. No other document relating to age like horoscopes, affidavits, birth extracts from Municipal Corporation, service records and the like will be accepted. The expression Matriculation/Higher Secondary Examination Certificate in this part of the instruction includes the alternative certificates mentioned above. ₹ 100/- either by depositing the money in any Branch of SBI by cash, or by using net banking facility of State Bank of India/ State Bank of Bikaner & Jaipur/State Bank of Hyderabad/ State Bank of Mysore/ State Bank of Patiala/ State Bank of Travancore or by using Visa/ MasterCard/ Rupay Credit/ Debit Card. The fee exempted for SC/ST candidates/ Sons of JCOs/ NCOs/ ORs. Candidates should have read all the instruction before applying. Now go to the above website. Then click on NDA Application Form. Fill all the information with relevant details at the required place. The information should be valid regarding the Personal and Academic Qualification. Candidates have needed to give the valid email id which will be used for further contact. The scanned recent photograph and signature should be uploaded at the required place. Then candidates have to pay the application fee of Rs.100/- through Online Mode by using Credit or Debit Card. Then click on submit button and you can take a printout for your own record.